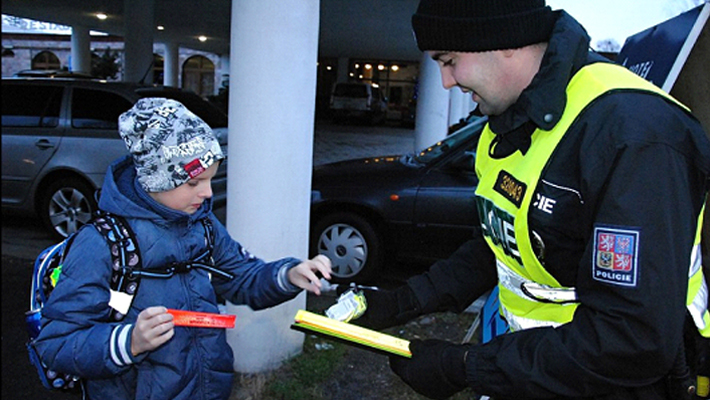 Within the two-day traffic preventive event, which took place in Ústí nad Labem and Teplice in cooperation with the BESIP coordinator for the Ústí nad Labem Region, the police focused on the most vulnerable group of road users – pedestrians. They need to carry reflective tapes, especially at night. The event took place in the afternoon when the impaired visibility was enhanced by heavy snow. The police officers gave away pedestrians who moved on the roads and were not able to see enough reflective materials such as ribbons, bags or vests with reflective fabric. In two days the police checked a total of thirty pedestrians.